I visited a link on YouTube the other day, and on completion, it gave a “next up” that caught my attention. 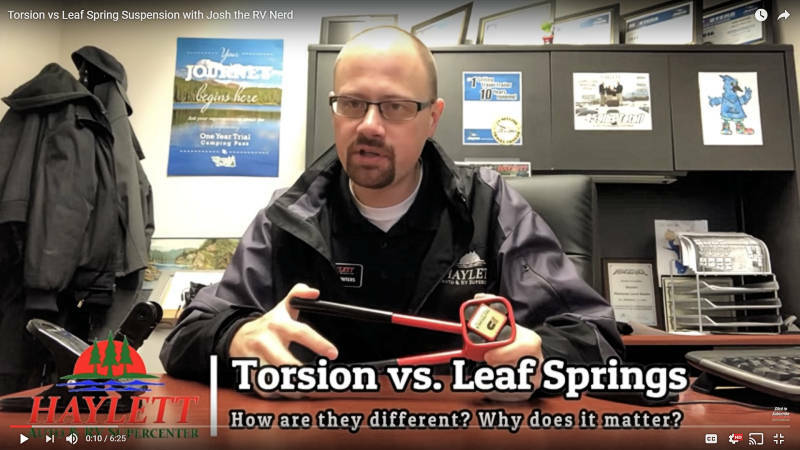 The title is “Torsion vs Leaf Spring Suspension …”. 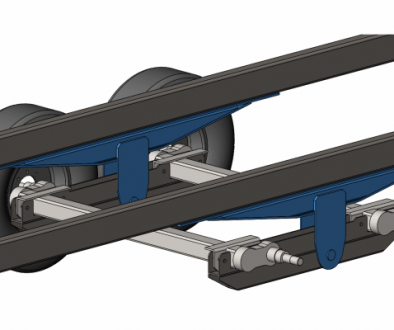 Since I engineer trailers with both suspension types, and do I get questions about them, I clicked to see what others have to say. The video is entertaining as a joke to spot the bits of truth mixed in the nonsense. Certainly he has some concepts right, but in others his extrapolation goes to the ridiculous. Unfortunately, for viewers without some knowledge of the topic, the difference between fact and fantasy is hard to distinguish. It’s like bad customer service before they are even a customer. 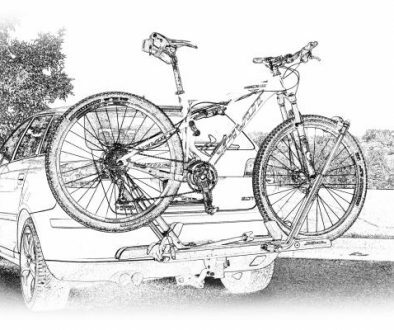 So, of the 11,000+ views, how many people now have a new found misunderstanding of trailer suspension? For me, watching him make a fool of himself is entertaining, but it makes me wonder . . . . How many times am I misled while searching for information? More importantly . . . How do you know who to believe? These are great questions, and I wish I had an answer. We will use the video as an example. Not because I want to discredit him (he’s done that himself), but because it’s good to learn from examples. In fairness, I don’t know the presenter. He seems like a good guy working in his RV business, but from what I gather he’s not technical. Yet, he’s trying to explain the physics for some experience(s), and I think that’s where he goes wrong. I’m not knocking him. He’s out promoting himself and his business with a series of videos and that’s OK. Using technology is a great way to expand reach. However, the bigger picture, the Google picture, explains more. I believe one of the unintended consequences of Google’s publish, publish, publish, paradigm is that of publishing junk. I agree with the Google premise of easy access to the world’s knowledge, but if the rewards of publishing are not tempered by the value of the material, we get junk. (Yes, it’s much easier to criticize than to create, so I’m not dissing Google. I also don’t know how to automatically sort one without the other. That’s a very big task.) In the meantime, misinformation is everywhere, and Google is promoting it. The conjuring up of misguided explanations is not new. I can’t tell you how many times I’ve walked out of a business because the BS was too deep. If customers don’t know better, they eat it up. And now with easy access on the web, garbage is all the more prevalent. This just means we as consumers need to learn to filter the good from the garbage as we discover who to believe. So who do you believe? That is certainly not obvious. It would be great if a GREEN light came on for accurate information and a RED light for wrong info. Or better, if the sound is ON and the text clear for accurate information, then sound MUTE and text fuzzy for the bad. Well, maybe someday. In the meantime, here are a few ideas to consider. I don’t believe there is an accuracy meter, and I’m not an expert in psychology, so take this with a grain of salt on who to believe. For me, if question marks stack up, credibility diminishes. These thoughts won’t give a definitive answer on who to believe, but for me, it helps with filtering. There is nothing wrong with qualifying yourself for what you know, and what you don’t. An example is our quest for knowledge on Bicycle Helmet Safety and learning about the available Technologies. Comparisons and demonstrations are a great way to explain something and bridge to understanding. A good object lesson can really support an explanation and lend credibility. 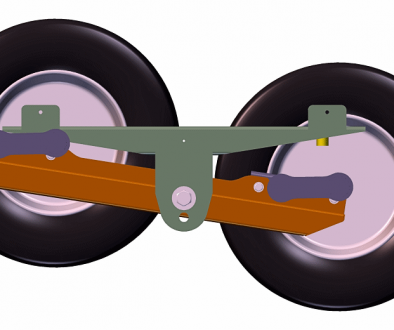 In the video example, the presenter has one prop that is obviously valuable (a cutaway of an axle). The other prop he uses for comparison is totally different than the thing he’s explaining. 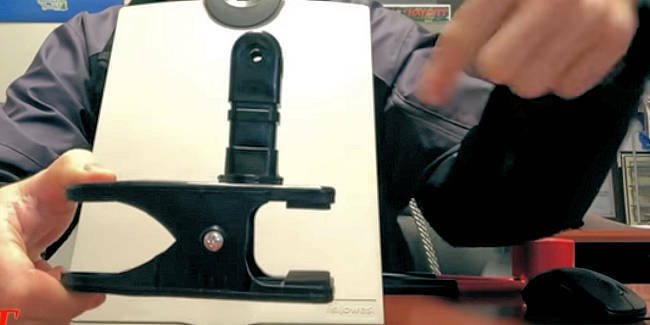 (A spring clip with a torsion spring – which he does not show – supposedly representing leaf springs.) Though there is some value in that representation, he does not explain it. If you are not familiar with the subject, the demonstration is misleading. So, if you can’t connect the dots to things you already know, that’s a reason for question marks. When presented with new information, always come back to what you know. If the new info doesn’t line up, that is certainly a question mark. Even if I don’t know that much on the subject, I probably know something. Starting from the known facts, simply compare to the explanation and see if things line up. It could be that things I think I know are actually the misinformation rather than the new presentation, so I must also evaluate the strength of my knowledge. I personally believe there is truth in almost every presentation. I also believe information usually comes with good intention. The issue is the difference between fact and supposition. In this video, it appears he has experienced something while towing, and is trying to put the pieces together by extrapolating. That’s a normal human characteristic as part of the creative process, but not very wise when publishing as an expert. Continuing our example of who to believe, I do not know how they assemble torsion axles. He tells us in the video, and it sounds plausible, yet I question it because he got so many other facts wrong. As an engineer, it’s not how I would approach the manufacturing, but it might be true. I don’t know, and that leads to the final point. Always keep an open mind, and look for other sources to support or contradict the new information. Ask questions. If many sources say something similar, then it’s likely right. If information differs, then it might be opinion, or made up, or it might be that one is just wrong. In any case, find a source you trust, and start with that as a strong bias. Continuing with our example, I will contact a torsion axle manufacturer and ask about the processes. Being in the industry, I’m interested, and that’s a source I trust. We live in a wonderful time where information is so readily available. However, the Information Age is also the Misinformation Age. Keep that in mind as you look for who to believe, but don’t let it stop your quest for always learning.